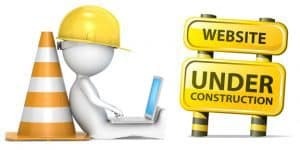 Did you know images can slow down your website dramatically? Because the dimensions are wrong, or the files are too big. That is why you must always use the right image dimensions on the right places on your website. Image dimensions you can set yourself. With every image editing program you can adjust height and width, or cut the image to the right dimensions. Optimizing images is another story. Regular image editing programs don’t always have a feature like that. Some can optimize images for the web. But when it comes to (lossless or lossy) optimization, you have to use different solutions. The image optimization process compresses the data of the image. Based on how much you want the image to be compressed, it can be with or without loss of quality. This is called lossless or lossy. For most websites the lossy compression is the best way. 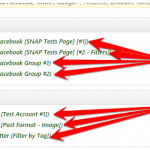 There are several (free and paid) online tools to optimize your images. You can upload your images, and after optimization you can download the compressed images. Or you can use a plugin, that will do the hard work for you. 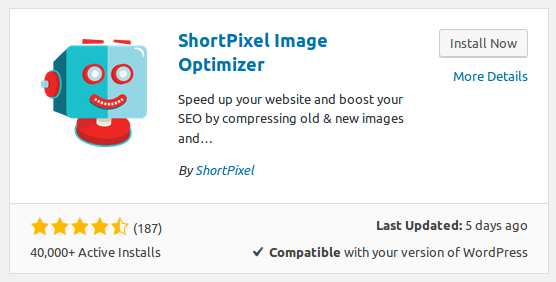 This website uses the plugin ShortPixel Image Optimization. 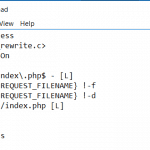 After installing and activating the plugin, you will be asked to request an API key, or to enter the API key, if you have already requested one. After validation of the API key, you will automatically be forwarded to the settings page. 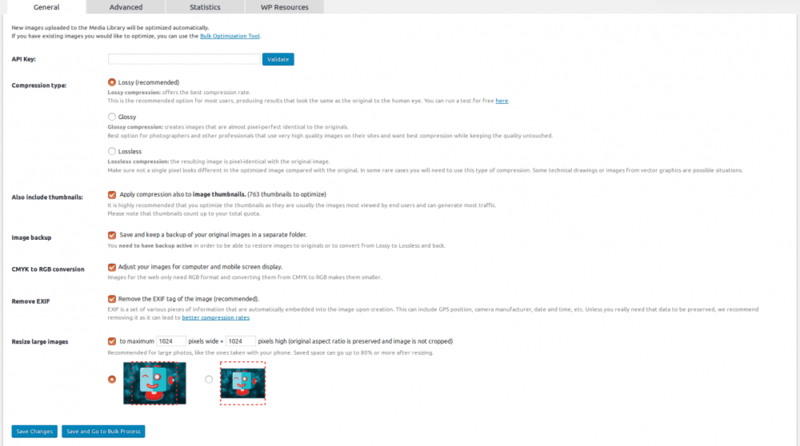 The ShortPixel plugin has several options for optimizing your images. On the first screen you can adjust the general settings. On the second screen you can adjust some advanced settings. Let’s start with the general settings! API Key: the key you’ve received from ShortPixel. Compression type: You can set the compression type to the one you prefer. Lossy is recommended for most websites. Use glossy or lossless when you need the highest possible quality after compression. Images will be the smallest when using the lossy option. Also include thumbnails: If you want your thumbnails optimized as well, turn on this option. They will count up for your total amount of optimized images! Be sure if you need this, especially if you have many different media sizes! Image backup: It can be useful to fall back on the original image. A full backup of the original images, including all thumbnails, will be made in the wp-content folder. Converting CMYK to RGB: Makes images smaller. ShortPixel can convert them for you. Remove EXIF: Recommended in most cases. If you don’t need this information, it can safely be removed to get better compression. Resize large images: You can automatically resize large images to a maximum size. To prevent using images that are too big! For the more experienced users there are also advanced settings. Additional media folders: When you have other media folders besides wp-upload you can add the here. After that you will be able to optimize those images with ShortPixel as well! WebP version: ShortPixel can create WebP versions of your images. WebP images are much smaller than PNG and JPG. It’s free! Optimize Retina Images: Turn this option on if you want Retina-specific images compressed as well. HTTP Auth Credentials: For password protected front-end. Process in front-end: Have images optimized that are added to your site from the front-end. Optimize media upload: Images are optimized automatically after upload (on the background). This is switched on by default. 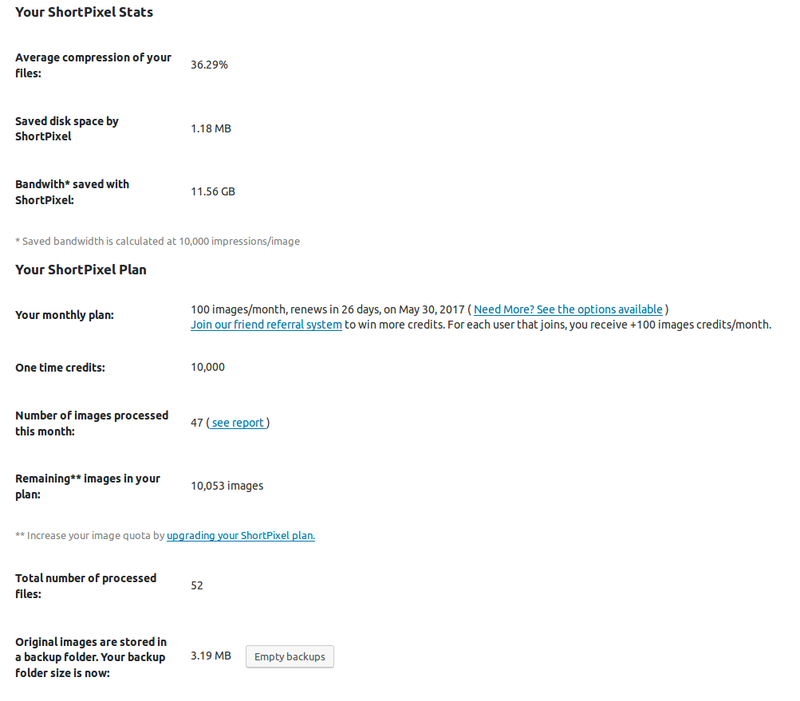 A nice feature of the ShortPixel plugin is the Statistics tab. ShortPixel keeps track of your used credits, saved bandwidth, average compression and more. These statistics come from the ShortPixel website. Nothing is stored locally. Images are compressed lossy on this website. That means maximum compression with a barely visible loss of quality. In the media library you can see how much compression has been achieved. Also you can restore an image if you’re not satisfied with the compression result, or re-optimize with the lossless compression option. Images that are not compressed, look like this in the media library. You can compress them one by one, or select all images you want to compress and select the bulk action “Optimize with ShortPixel”. Finally, you can choose the Bulk ShortPixel option under Media to optimize all not compressed media with a few clicks! ShortPixel is a freemium plugin. This means there is a free plan, but also paid plans. It all depends on you needs! With the free plan, you have 100 images per month. No file size limits, one API key to use for multiple sites. – Short Plan. 5,000 images per month at $4.99/month. – Large Plan. 12,000 images per month at $9.99/month. – XXL Plan. 55,000 images per month at $29.99/month. – One-Time 10K. 10,000 images for $9.99. – One-Time 30K. 30,000 images for $19.99. – One-Time 50K. 50,000 images for $29.99. Have a look at all the plans! This plugin is very easy to use and has no downside. It has a limited free plan, with a maximum of 100 images (including thumbnails!) per month. That is fine if you’re running a small personal blog. Otherwise you have to get a paid plan to fit your needs. 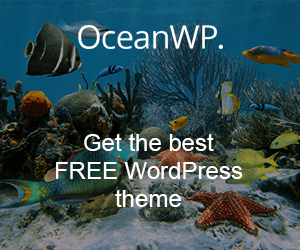 The prices are very reasonable, compared to other freemium optimization plugins. The WebP option is very nice. You will have to keep in mind that you have to take some action to be able to use WebP images on your website. 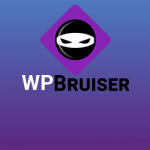 You can install a plugin like wp-webp, or edit your .htaccess, like this. its really great idea. this is a very good and more necessary idea. I believe this plugins something like WordPress jetpack. its best idea and I have more benefited from this good article.